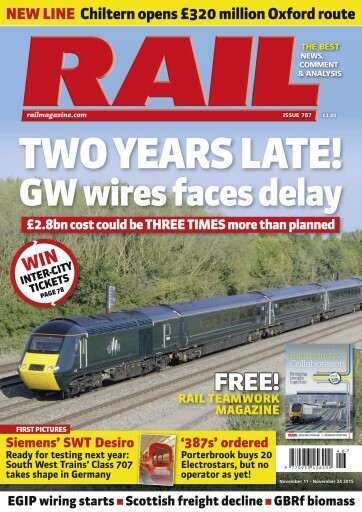 (0 Customer Reviews) | Write Review 26 issues per year Published fortnightly, RAIL brings you the best news, comment and analysis covering the full spectrum of rail industry activity - from Government policy and involvement to operations, maintenance and services provided by Network Rail, train operators and the wider industry. 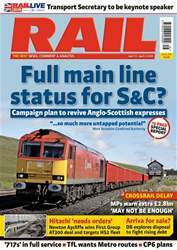 Looking for Rail in print? Unfortunately pocketmags.com does not sell print copies of Rail, but all is not lost. Our partner at magazine.co.uk sells print subscriptions at the best prices online. Electrification of the Great Western Main Line could be two years late, cost three times as much as original estimates, and entail suburban electric multiple units standing idle for a year, suggest sources close to the project. The Department for Transport also says it is “very concerned” about delays to electrification. Speaking at the Commons Public Accounts Committee hearing on October 21st, DfT Permanent Secretary Philip Rutnam said it would be “highly likely” that there will be delays against the original schedule of electrifying to Bristol Parkway, Newbury and Oxford by 2016, to Cardiff by 2017 and to Swansea by 2018, although he was unable to provide further details. 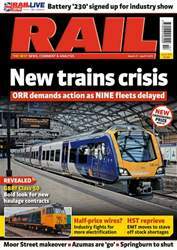 Published fortnightly, RAIL brings you the best news, comment and analysis covering the full spectrum of rail industry activity - from Government policy and involvement to operations, maintenance and services provided by Network Rail, train operators and the wider industry. You'll receive 26 issues during a 1 year Rail magazine subscription. 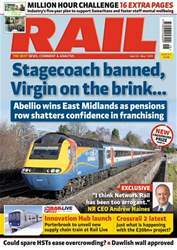 You'll receive 26 issues during a 1 year Rail magazine print subscription.